Breakthrough into your next season — Join us as we hear the word of the Lord for 2019, through the voices of His appointed prophets. Come to the HIM Prophetic Destiny Conference, January 18-21, 2019 in Pasadena, CA. 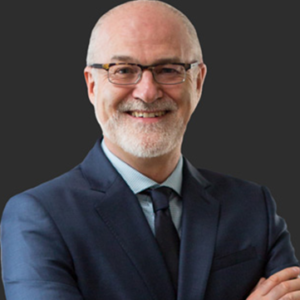 Dr. Hamon is a forerunner in restoring an understanding of prophetic ministry to the Church. 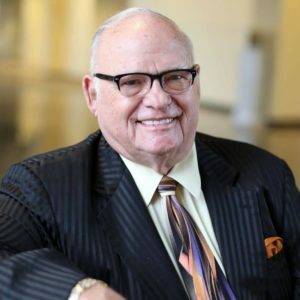 Dr. Hamon is the founder of Christian International Ministries, , a premier prophetic ministry for over..
Dr. Hamon is the founder of Christian International Ministries, a premier prophetic ministry for over 45 years. A prophet for 60 years, he has prophesied to more than 50,000 people and provided training for over 250,000 in prophetic ministry. He has authored seven major books, specializing in the restoration of the Church and what to expect next on God’s agenda. 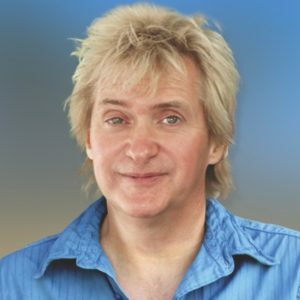 Simon is the founder of Legacy Ministries International and is a part of the HIM family. 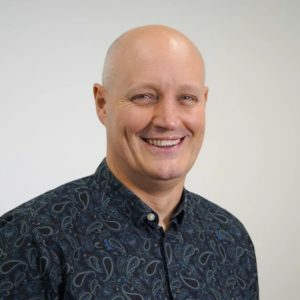 He works across church streams, both in the UK and overseas equipping and motivating churches and leaders to step out and impact their world with the love and power of God. 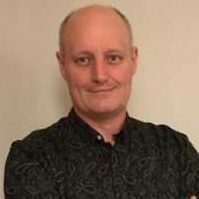 Simon is the author of The School of the Spirit, a practical training program to help churches and believers step into the life of the supernatural.He is also the co-author of two books. He’s the leader of the UK Prophetic mentoring program and Prophetic forum. Two settings which were created to help network, encourage and equip emerging Prophets and Prophetic ministers in the UK. He serves on the senior staff of Holy Trinity church in the city of Leceister, UK. He and his wife Joe have been married 25 years and have four children. 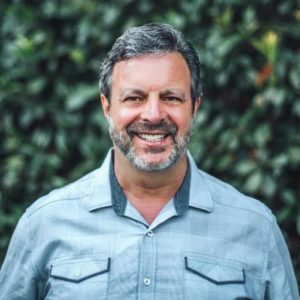 Kris Vallotton is the Senior Associate Leader of Bethel Church in Redding, California. Kris travels internationally training and equipping people to successfully fulfill their divine purpose. He’s a bestselling author, having written more than a dozen books and training manuals to help prepare believers for life in the kingdom. 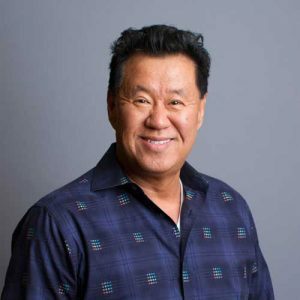 He has a diverse background in business, counseling, consulting, pastoring and teaching, which gives him unique leadership insights and perspectives. 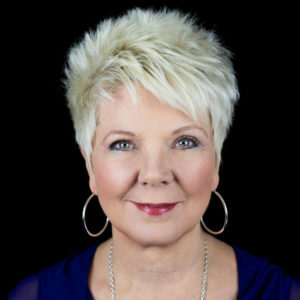 Kris has a passion to use his experience and his prophetic gift to assist world leaders in achieving their goals and accomplishing their mission. Shawn is an author, a TV host, spiritual adviser, producer, and minister. He is passionate about seeing individuals and groups learn how to be the most connected best version of themselves through their relationship with God. He is the author of several books, including best selling Translating God & Keys to Heaven’s Economy. 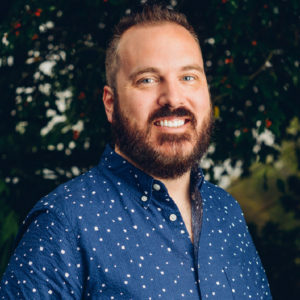 Shawn Bolz is also the founding pastor of Expression58 Christian Ministries, a ministry focused on the entertainment industry and the poor in Los Angeles, California. James is the prolific author of numerous books including The Seer, The Lost Art of Intercession, The Intercession, The Coming Israel Awakening, The Coming Israel Awakening, Finding Hope, and the award winning The Lifestyle of a Prophet. He has recorded multiple classes with corresponding study guides and full curriculum kits. 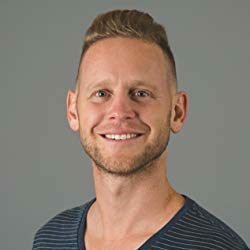 Seth Dahl is a writer and worldwide speaker to adults and children. He is known for his powerful wisdom communicated through a contagious joy and childlikeness. 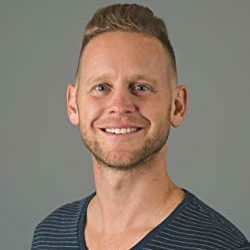 With over 15 years experience working with children and being a children’s pastor, Seth has cultivated a passion to help parents create a thriving family culture at home. Sometimes parenting is overwhelming, but it doesn’t have to be! Seth loves being able to equip people with the help they need to create the thriving family culture they’ve always dreamed of. 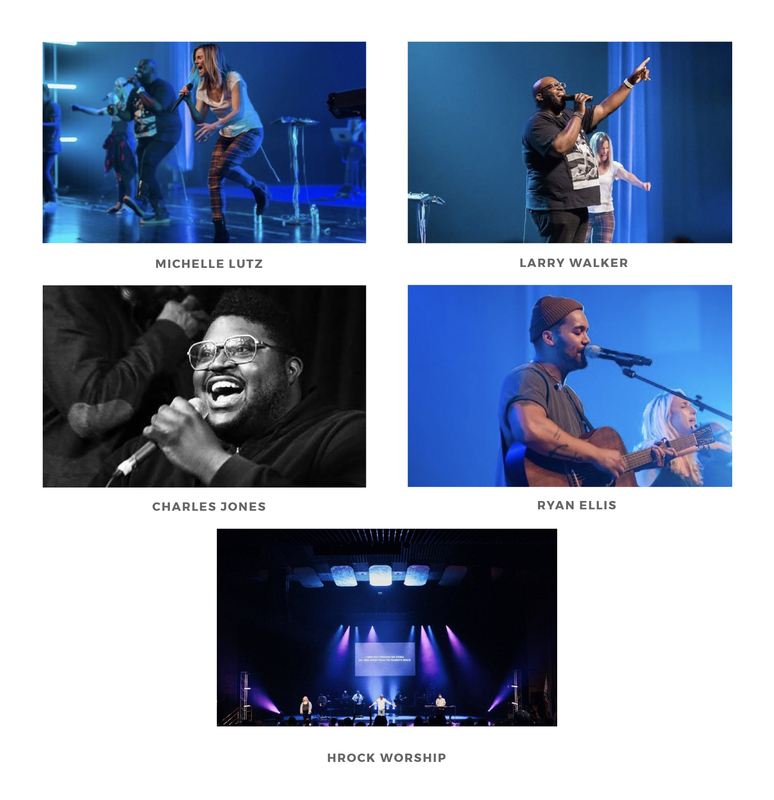 Featured Worship Artists accompanied by HRock Music. From the enthusiastic welcome each time the doors open, to the powerful truths shared during the sessions, each day surpassed the next in true fellowship and progress. The HRock family made me feel so welcome and included& the speakers were authentic and blunt about truth. There are many great restaurants within walking distance in Old Pasadena. Additional meal options on-campus will be announced closer to the conference date. Can’t make it to Pasadena? Missed the conference? You can still watch it online! Purchase access to all conference sessions HERE and gain continued online viewing access for the 90 days following the conference. You will be emailed a livestreaming link. All sales are final, no refunds available for livestream orders. Refunds are available minus 15% of the ticket price. There are no refunds after January 8, 2019. Day Passes will always be available for purchase on the day of conference. Tickets are $25 and are non-refundable. Evening Sessions are FREE. If you are only attending the evening sessions for free, please follow the signs to the right entrance. Our Conferences are family friendly. Children ages 12 and under are free to attend. For children 13 years and older, you can purchase child admission HERE. However, Childcare will not be provided. Which airport is most convenient to fly into for the conference? Seating is first come, first served. There will be no seat saving allowed throughout the conference. IMPORTANT NOTE: For Friday ONLY – Parking will NOT be available in the Ambassador Auditorium Parking lots. Parking will be available in the Wells Fargo Parking Lot (350 West Colorado Blvd. Pasadena, CA 91105 // Located across the street from Ralphs) and Elks Lodge (400 W Colorado Blvd, Pasadena, CA 91105 // Green Street Side). For Sunday ONLY – Wells Fargo Parking Lot will be available until 3pm. After 3pm, please re-park. The gate will be closed. Parking for Saturday through Monday will be located in the lower lot (131 South St. John Avenue Pasadena, CA 91105). The lower lot is directly underneath the football field. Additional Parking can be found in Old Town Pasadena within walking distance from our venue. Upper Lot Parking is reserved for Handicap Guests, Staff, and Special Guests only. Plaza is reserved for Staff, Scheduled Volunteers, and Worship Teams. Yes, we will have translations in the following languages: Korean, Mandarin, and Spanish. Please be ready to check-in at the upstairs lobby (balcony level) with your ID for a translations device. Translation sets are limited, first-come first-serve. The Lost & Found and First Aid is located at the Guest Services Information Table in the Lobby. After the conference, please contact HRock’s Facilities (626-696-8700) for Lost & Found items. You can purchase access to all conference sessions at our conference website (propheticdestiny.org) and gain continued online viewing access for the 90 days following the conference. Archives of the speaking sessions will be made available within 3 weeks after the conference.You will be emailed a livestream link. All sales are final, no refunds available for livestream orders. If you desire to purchase it during the conference, we will be accepting credit card payments only. Will you have my prophetic word recorded? During personal prophetic ministry, please use your own devices to record any words that you received. This is highly preferred, as we will not be able to record every prophetic word. For words spoken during the speaker’s sessions, purchase the livestream to access. Looking for a way to get involved? We always have a place for volunteers with a smiling face and helpful hands. Have you served with us before? If so, which departments have you served in? Who was your department manager? How many shifts would you like to serve? 1-23-4As much as you need me!